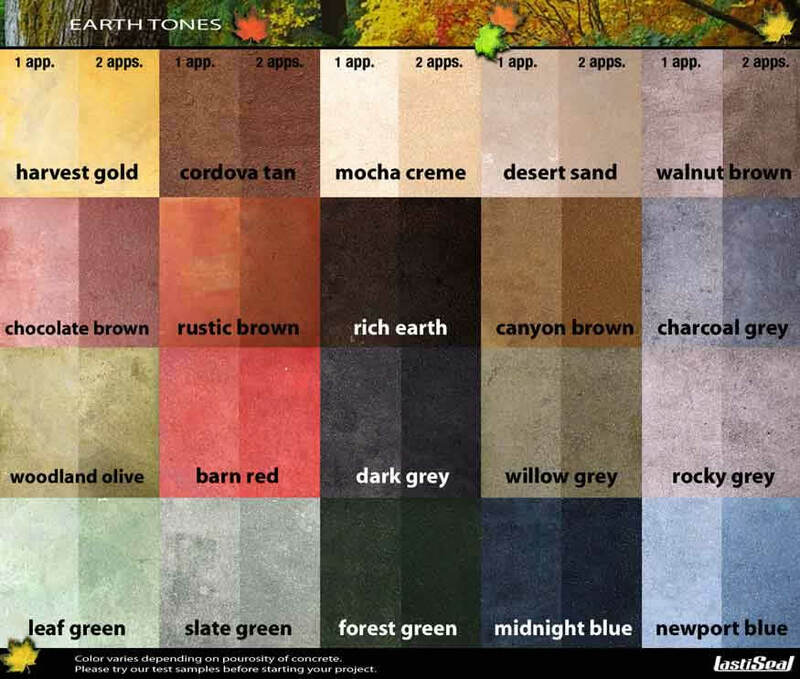 Here's a larger view of the color chart we use to stain concrete floors in Maine. 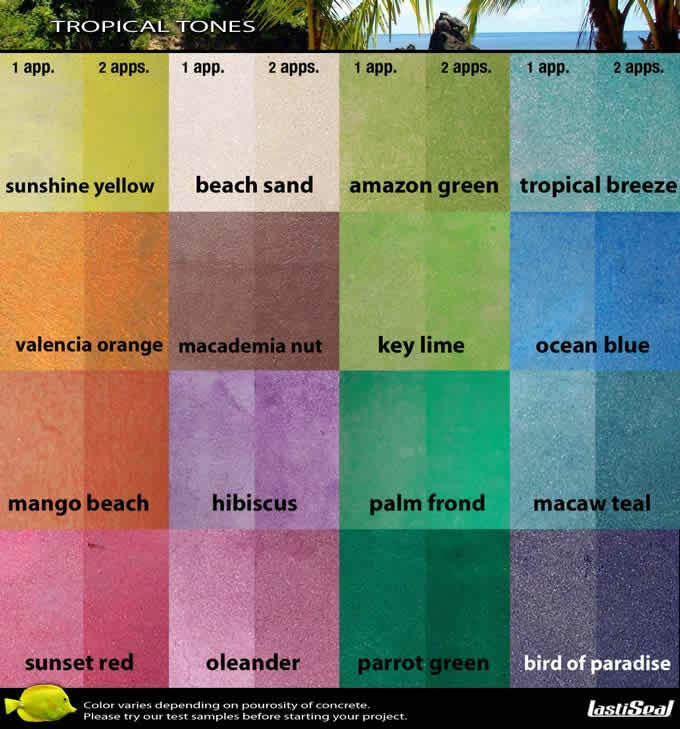 This concrete stain & sealer will help preserve your indoor and outdoor concrete. It penetrates deeply into the concrete and permanently waterproofs new or old concrete protecting the concrete from moisture penetration, freeze/thaw cycles, and road salts. This concrete stain colors and seals the concrete at the same time. We can apply this stain to your concrete driveway, patio, pool deck, sidewalks, concrete floors, or basement floor. WIND-DRIVEN RAIN – Waterproofs brick chimneys, walls, facades against rain and surface water. NEGATIVE SIDE WATER PRESSURE – Prevents the transmission of water seepage through masonry. FREEZE-THAW – Protects brick, concrete and masonry against freeze-thaw damage and road salts. SPALLING – Hardens concrete and brick protecting it from pitting, spalling, dusting and crumbling. SPILLS – Resists spills, motor oil, grease, and chemical spills. MOLD, ALGAE - Reduces the growth of mold, mildew and algae. Makes for easier cleaning. HUMIDITY – Reduces water vapor transmission and indoor humidity. EFFLORESCENCE – Reduces unsightly efflorescence. Yes, this stain & sealer can also be used on bricks & pavers.